Gout… guess what? It isn’t a lifestyle disease, despite what you might think. It’s a genetic one that can lead to serious conditions if it isn’t treated. With so many misconceptions around the disease, UK healthcare ad agency Langland worked in partnership with Grunenthal to set the record straight. How? Clever use of adtech that pithily used a WebGL visualization of a crystalline body representing a gout sufferer. 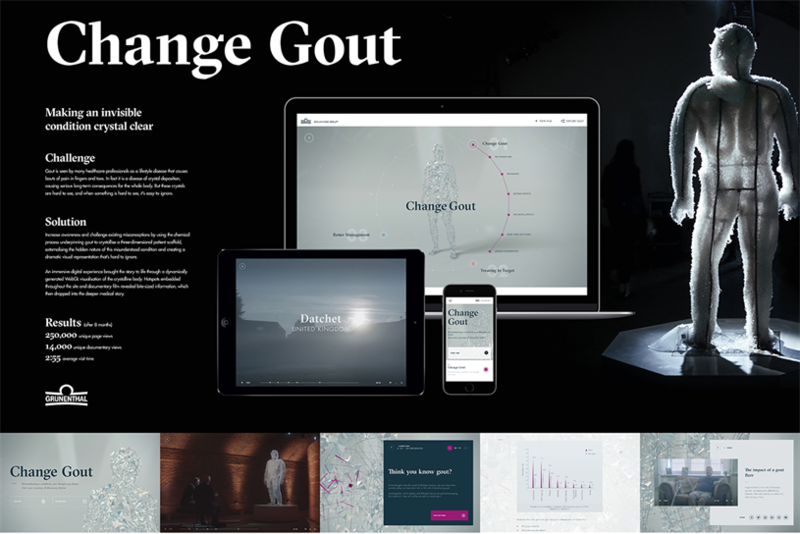 Users could move around hotspots across the site and watch a docu-film to get at bite-size and in-depth information on the disease. The strategy paid off. It helped generate 250,000 unique page views, 14,000 documentary views and an average site visit time of 2:55.